Welcome to Data Management and Biomedical Data Analytics Lab! Effective Scalable and Integrative Geocoding for Massive Address Datasets in Public Health Studies. I am looking for a highly motivated undergraduate student with CS or informatics major to work on an NSF sponsored project on Research Experiences for Undergraduates (REU). If you are interested, please submit your application at SPIDAL REU at Stony Brook University. 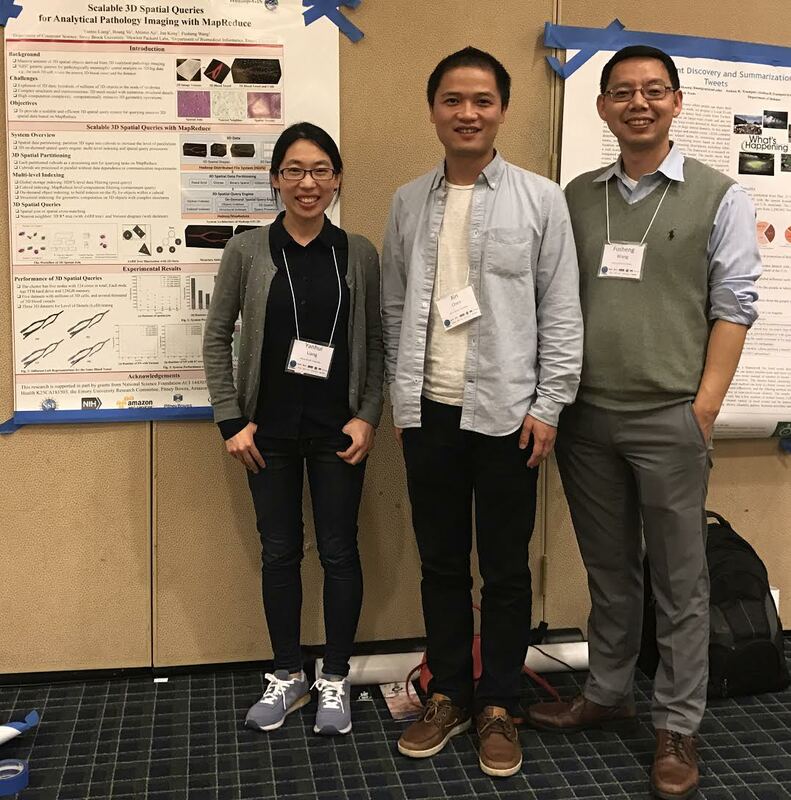 Yanhui's paper “Scalable 3D Spatial Queries for Analytical Pathology Imaging with MapReduce” won the best poster award at SIGSPATIAL 2016.